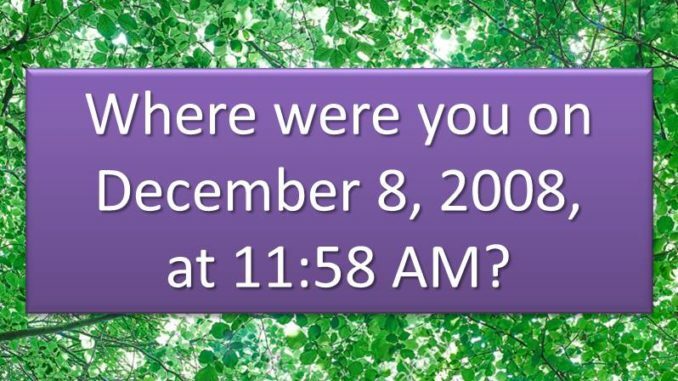 Do you remember where you were December 8, 2008? If you lived in San Diego, you probably do. If you were in University City, it probably started out as any other day. It was Monday, trash day for many, and the weather was cool and sunny. If you had kids in school, they were probably enjoying their lunches. If you were working, you were probably trying to figure out how to get outside for a walk. Residents in University City had no idea that their world was about to turn upside down as a distressed aircraft was racing toward them from the west about to crash through a neighbor’s tree and slam into two homes on Cather Avenue and coming to rest on Huggins Street. It has been 10 years since the plane crash that changed University City forever. December 8, 2018, is the 10th anniversary of the F-18 military jet crash in University City that took the lives of four members of the same family, destroyed two homes, damaged several others, and caused multiple fires. Share your December 8, 2008, story with neighbors who will gather at University Village Park, 7100 Florey Street (at the corner of Gullstrand/Cather and Florey) in University City, on December 8 at 11:30 AM, for an hour of remembrance and healing: to share experiences, for a moment of silence and to dedicate four trees planted as a living memorial to those who lost their lives. All attendees will be invited to take home a plantable remembrance leaf embedded with wildflower seeds (quantities limited). Be sure to set your alarm to ring or your calendar to ping at 11:58 AM on December 8 to mark the time of the crash and to observe a moment of silence.